you can feel more confident about the health of your teeth and gums. The sticky accumulation of bacteria on the teeth and gums is called plaque. Plaque forms continuously and should be removed daily with regular brushing and flossing. If plaque is allowed to build up, tartar (calculus) forms, which cannot be removed by brushing or flossing. The bacteria that cause periodontal disease thrive in these calculus deposits. 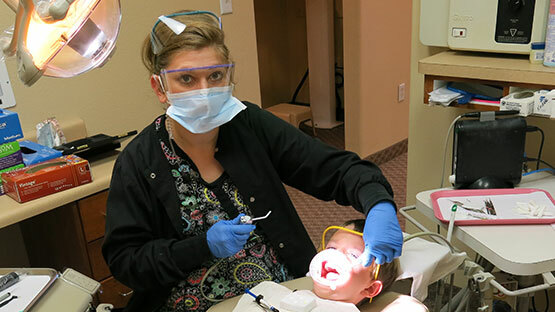 At Dr. Barton H. Foutz, DDS, the dental hygienist will remove these deposits and give you a “clean slate” for your home dental care. The hygienist can also instruct you in the proper techniques for brushing and flossing.